A ban enacted by the Obama administration has been lifted. The Trump administration has decided to lift a ban on the import of African elephant trophies, allowing hunters to bring parts of the animals’ bodies back home. So it’s no surprise that even when passed without fanfare, a lift on the ban on elephant trophy imports has caused quite a stir. Through a memorandum on its website, the U.S. Fish and Wildlife Service (FWS) has announced the news, saying that the authorities will consider requests on a case by case basis with immediate effect. It will be legal to import trophies from Zimbabwe and Zambia among others. The ban on elephant trophies was put in place by the Obama administration in 2014. In December 2017, a lawsuit filed by the National Rifle Association and Safari Club International entered the courts. It found that proper procedures weren’t followed when the regulations were enacted, including the lack of an opportunity for the public to comment on the ban. The FWS mentioned the lawsuit’s resolution in its announcement about the ban being lifted. 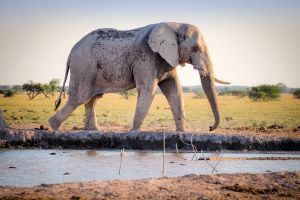 It also confirmed that several other measures enshrined in the Endangered Species Act, focusing on elephants, lions and bontebok are being revoked. The agency noted that the Endangered Species Act will inform its case-by-case decisions on whether to authorize trophy imports, however it hasn’t elaborated on the criteria that will be used to determine which imports will be allowed. “The confusion is not helpful,” said Jimmiel Mandima, a conservationist at the nonprofit African Wildlife Foundation, in an interview with NBC News. Some argued that the decision to allow trophy imports might help animal populations, as fees paid by hunters to shoot selected animals can help fund wildlife conservation initiatives. However, the strategy may not be so effective should the money be siphoned away by corrupt authorities, as some fear.